I remember it to be a hot and humid afternoon in Paris. Pont de Bir Hakeim, with a superb view of the Eiffel Tower was going to be inundated with both locals and tourists, fighting for good viewing spots basking in the sunshine. 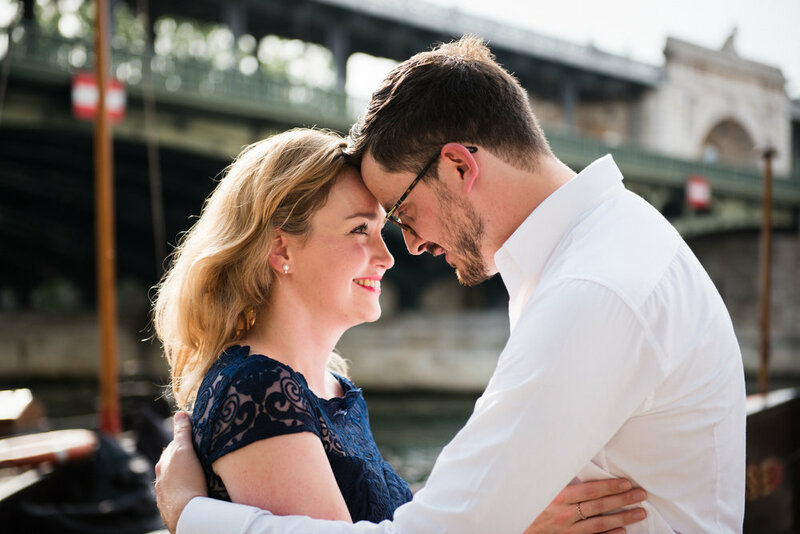 Fortunately, Jonathan and I, his Paris photographer have got a well thought out plan to execute his surprise proposal to Agnes without the fear of crowds ruining his planned Paris proposal! Jonathan cared more about the intimate moment and surprise element for Agnes than the must have view of the Eiffel Tower in the background. 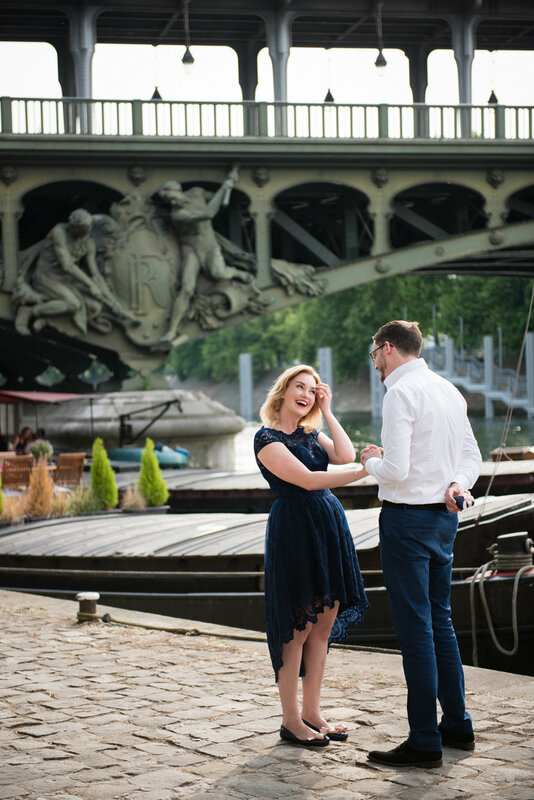 As his Paris photographer, I advised him on the little spots around Pont de Bir Hakeim which he could do his surprise proposal, where potential interruptions are minimal. The chosen spot was perfectly private and peaceful. The execution of this proposal in Paris was like watching a love story unfold. They were in heaving Paris, but the moment was theirs to be had. Like time stood still. All that was moving around them was their Paris photographer (me and my tears), capturing their precious precise moment, emotions and expressions - of his nervous beating heart, hers swirled with bewilderment, awe and disbelief! Oh the magic of a surprise proposal in Paris. I am so blessed to witness such joy and love, one of the perks of being a Paris photographer! 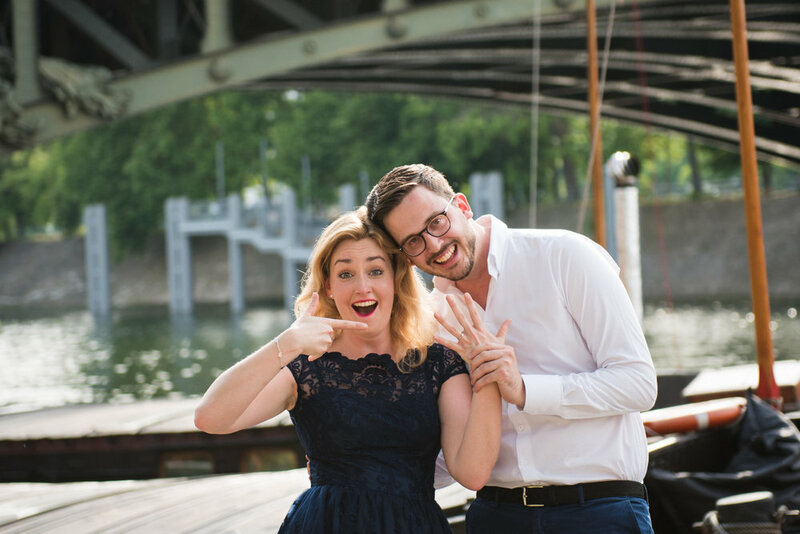 Enjoy perusing Jonathan and Agnes' surprise proposal album in Paris! Read a little of what makes their relationship sparkle too. Always a good sign when they've only been together for one and a half years but feels like they've been together for ages. They live their romantic lives in Switzerland. Jonathan loves how excitable Agnes can be and her eyes just shine. He also loves it when she's mad at him. He finds her endearing! However she admits that the way Jonathan makes her laugh and smile just makes it impossible to be mad at him for a long time. Laughter with love is always the best anecdote for anything! They are truly the happiest when cuddled up on the couch with a glass of wine each, talking, sharing and being downright honest their fears, happiness, sadness, life. Being able to express and open about themselves without judgement are what bring them close and feel safe with each other. Oh, I can relate to this so much! Both are perfectionists in their own ways so they know what little details drive them nuts and have learned to leave each other alone when say...one is cooking, also one of their favourites things to do together. Agnes is a punctual person. As a result, Jonathan makes an effort to be ready a few minutes earlier before leaving, not only a good habit but also out of respect and love for her. Love do make you compromise and change you for the better! 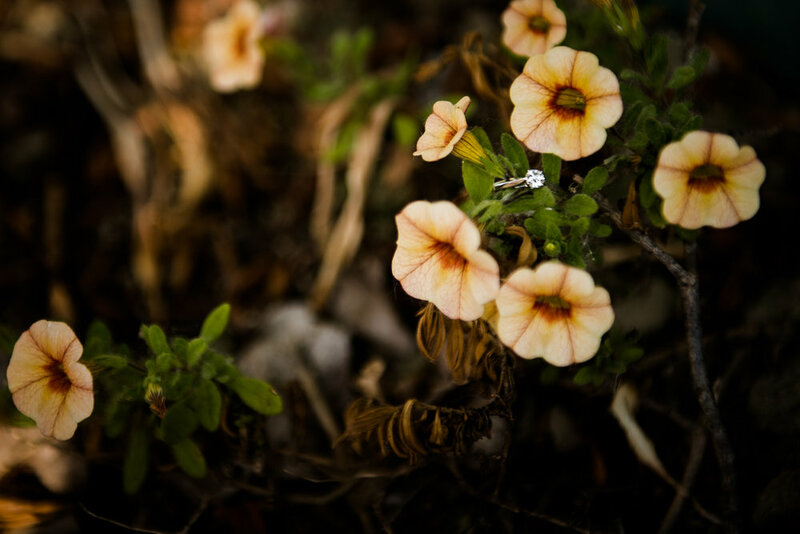 To them, one of the keys to a great relationship is also to forgive. Quickly. Easier said than done but so true. "We give each other small gifts very often. We call them weekend presents or Tuesday presents. Because why not. We don't wait for occasions. It can be everything, buying a package of tissues with a sentence "I love you to the moon and back", cinema tickets, bottle of wine or a cup. I leave Jonny small messages and cards in the mornig when I leave earlier to work. He really loves them." When asked - What makes each of you sure that you're the right one for each other? "You can never really explain these things. You feel it. You feel no doubts. You are not afraid and the safest you feel in each other arms. You just know that." If you'd like to have your surprise proposal in Paris captured like they did, I look forward to being your Paris photographer. Let's connect.